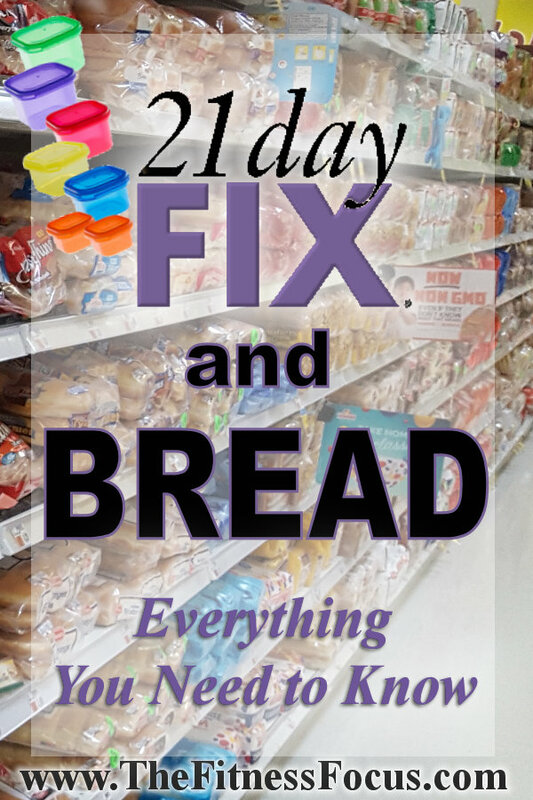 I never thought I’d ever write a blog post about bread, but here it is, a blog post about bread and how it relates to the 21 Day Fix portion approach diet. It’s because there is always a lot of questions and confusion about eating bread on the 21 Day Fix diet. I figured writing a post that covers the most commonly asked questions I get would help a lot of people out. Bread allowed on the 21 Day Fix! Yes! This is because the 21 Day Fix portion approach diet plan is well-rounded*you are not cutting any food groups) This means healthy whole grains are part of the plan. Bread is not bad for you! Yes, you read that correctly. And it’s not bad for your diet either. At least not all bread. Whole grain bread can complement to any healthy diet nicely, but you still need to be careful(labels, can be deceiving). Maybe it’s because most of the breads available to us have so many unhealthy and often unnecessary added ingredients like refined flours (white bread), partially hydrogenated oils, emulsifiers,(to increase the bread softness), preservatives, added sugars, and added salts. If you have a loaf of bread in your pantry, I dare you to go take a look at the ingredients. Or maybe it’s because bread is often accompanied by something unhealthy between two slices. Or perhaps it’s because all of the low-carb fad diets over the years that have ruled bread as a weight loss enemy. Whatever the reasoning, some breads are better for you. And because the FDA has not defined what multigrain actually is, it’s important for you to know what to look for when buying bread for the 21 Day Fix diet. Choose wholegrain! Don’t fall for labels marked multigrain or enriched. Go for organic if you can. Breads with a smaller ingredient lists. Breads that are high in fiber, 2+ grams. Breads that are lower than 300 grams in sodium. 140 calories or less per slice. 2+ grams of fiber per slice. Less than 5g sugar per slice. Contain less than 300g of sodium per slice. List whole wheat flour (or other whole grain flour) as the first ingredient. This also has to do with reading labels and knowing what to look out for. Thee above is just fancy names for refined white flour. 100% whole grain bread will list a whole grain flour as its first ingredient(main ingredient).A few whole grains are wheat, oats, pumpernickel, barley, buckwheat, wild rice, and quinoa. Watch out for added sweeteners like honey, sugar and corn syrup. Also look out for a long list of ingredients, since making bread can be as simple as mixing flour and water with a leavening agent (often yeast) and a small amount of sugar to activate the yeast. 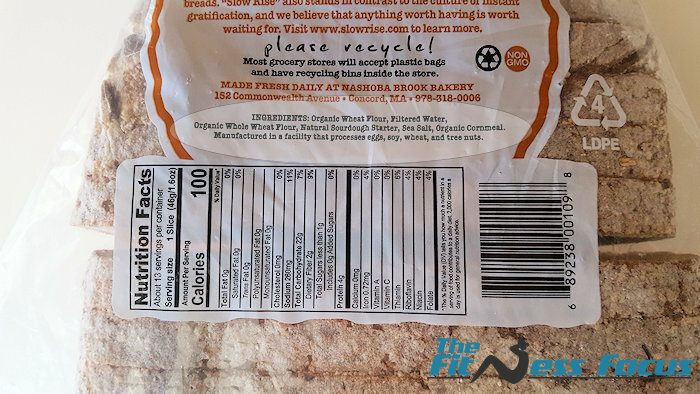 Most breads you’ll find at the grocery store will have many more ingredients than this, although you can find some organic and even non-organic brands with just a handful of ingredients that you have heard of. 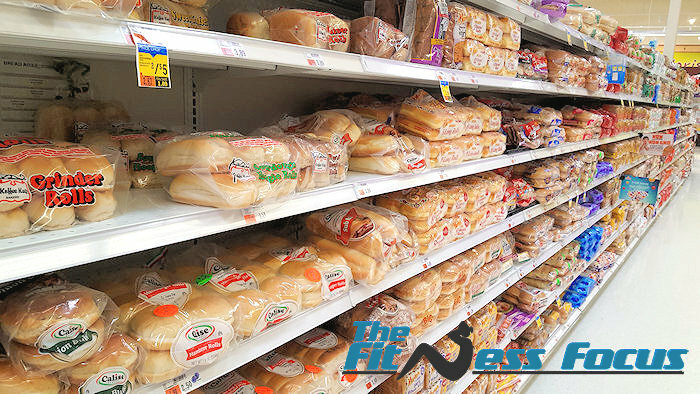 In no particular order, here’s a few bread brands I’ve found that fit in nicely with the 21 Day Fix diet. They are nutritionally balanced and do not contain the additives, sugars and nutritional fillers you should be avoiding. 1. Dave’s Killer Bread: An organic, non-GMO, and no additives option that is distributed to all 50 US states and Canada. There are many varieties on Amazon(at least 5) to choose from and have been making organic bread since 2005. 2. Ezekiel 4:9: This is sprouted whole grain bread. You can find it in the freezer section of your grocery store. The main ingredients are sprouted grains. The seeds are soaked beforehand to improve the digestibility of the protein, carbohydrates, and other nutrients. This process also increases the fiber content. Each slice has 3 grams of fiber, 80 calories, and 4 grams of protein. 3. Eureka Organic: This is my organic bread brand of choice. It is organic and non-GMO with no additives. I always opt for organic when purchasing any wheat product. That’s because wheat crops have become very GMO. They also spray wheat with a pesticide(glyphosate-based) that has been shown to negatively impact gut flora and linked with chronic diseases of the gut like Celiac’s disease. Also just because it says organic, it does not mean the healthiest ingredients have to be used. So always check the ingredients and for the most part, the fewer the ingredients the better. 1 Slice of Whole Grain Bread = 1 Yellow Container and be sure to count your extra containers. ‘Here are few simple ideas, that make for great snacks or small meals. Comments? Questions? Please leave a reply below. It is not listed on the 21 Day Fix approved food list that I can remember. What about mini bagels???? Yes and how much of yellow do you count it as??? Whole wheat are probably half a yellow depending upon size. what are your thoughts on weight watchers multigrain ? Never tried it…Typically whole wheat bread is a better choice because you know what flour is used. Multigrain bread may still be mostly white flour, so you want to take a look at the ingredient label unless it states 100% whole grain. If I make my own bread, how much grams would equal to one yellow container? Depends on the ingredients used I guess. I would estimate around 25, that is purely a guess. I have an organic gluten free bread, each slice is 70cal 17carb and 1g sugar, is this still in the “one slice” category or could I have two?